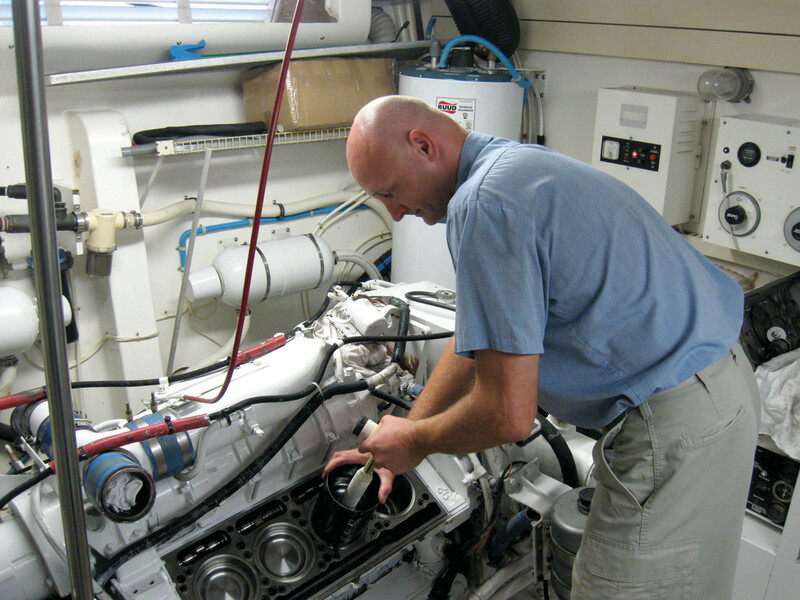 At our diesel engine classes at TrawlerFest, the question of engine longevity always comes up. This question also plays a key part in most conversations about buying a used boat. And while there is never a definitive answer, there are several factors that contribute to how long an engine runs and several things you can do to prolong the life of your engine. 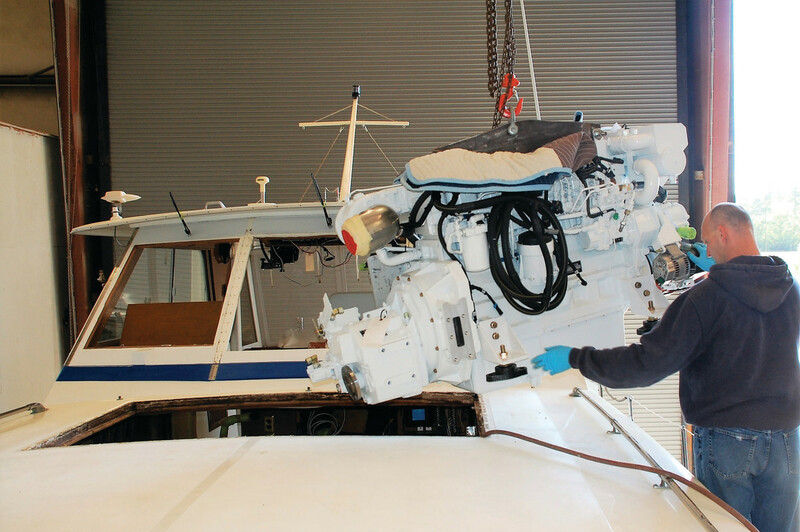 Engine life can be defined as “time between overhaul” (TBO). Every engine manufacturer calculates a designed engine life, but only sometimes is this information available to the public. The life of an engine can be projected in three ways: gallons of fuel burned, hours operated, or years of operation. A given engine, for example, might be expected to run for 50,000 gallons of fuel, 10,000 hours, or 20 years. Years matter only because of the availability of replacement parts and general deterioration due to constant exposure to moisture. Eventually, time and wear catch up and the situation will call for a rebuild, a remanufactured engine, or, in this case, a new engine like these from John Deere. If you want to take a stab at the life expectancy of your engine, you can start by comparing your situation to the conditions anticipated by the manufacturer. Engineers must design an engine with a particular service life in mind. A tugboat might run 24 hours a day at full load and can exceed 5,000 hours of running time in a year. A cruising powerboat might run closer to six hours a day at 30% load and accumulate fewer than 500 hours of time annually. To predict engine life, builders weigh three basic variables: how hard the engine will work (load factor), how many hours it will be at full power compared to at normal cruising load, and how many hours per year of operation it sees. With respect to engine longevity, we are talking about the load factor over the life of the engine, not a single day’s run. If the numbers above reflect typical operation, then we can estimate that on average your engine has a 40% load factor. For recreational engines, most manufacturers want to see a load factor less than 35%, and 10-30% would be optimal. You can determine your load factor by looking up the fuel curve for your engine and comparing the rated full rpm fuel burn to the rate at your cruising rpm. Boats cruising at full displacement speeds (1.2 x the square root of the waterline length) will usually cruise at load factors of 25% or less. At planing or semidisplacement speeds, that number will be closer to 35% or above. 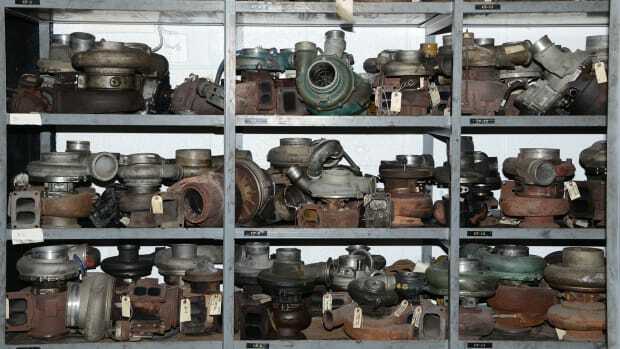 For most engines, engine life can be defined as “time between overhauls.” When possible, rebuilding without removing the engine significantly reduces the cost. 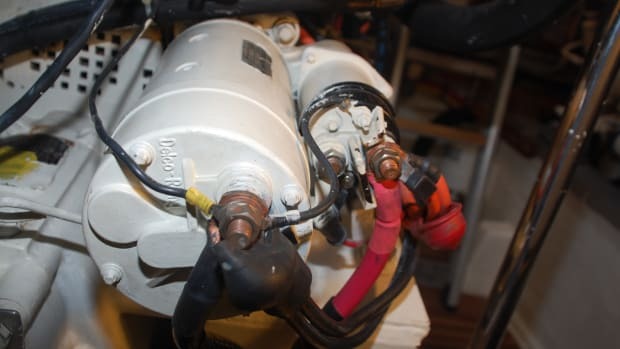 In this system, M5 points to engines for recreational cruising boats. The manufacturer is telling us that the M5-rated engines will maximize longevity when those three parameters are met. Other manufacturers use different nomenclature but similar parameters. M1 for John Deere correlates to “Continuous Duty” for Cummins and “Continuous Duty Commercial” for Volvo. A given engine model can usually be purchased with different ratings. A Cummins QSB6.7, for example, can be purchased with the recreational rating (“High Output” in Cummins nomenclature) or in a “Medium Continuous Duty” configuration (which would fall between M2 and M3 on the John Deere chart). As you can see from these rating systems, the recreational version of each engine represents the weakest version of each engine model. At this point you might be wondering why we default to the weakest? Most pleasure boats require the highest horsepower for the least weight and space–not necessarily the best recipe for a long life. Engine life can be extended in these higher horsepower configurations by limiting the loading and the hours, in other words, by complying with the recreational rating. 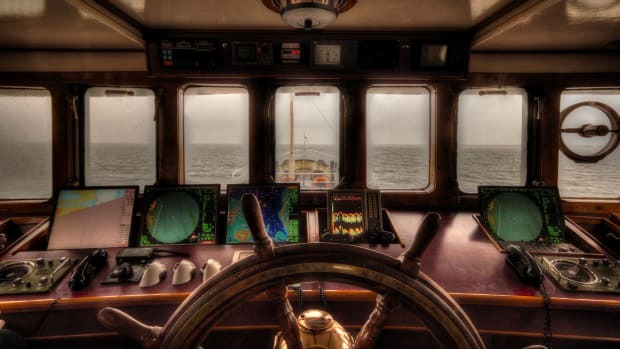 For full-displacement trawlers and for boats that will always run at displacement speeds, you could make a good case for “de-rating” the engine by going for a lower horsepower version with a higher rating. In addition to rating choices, many engine models can be purchased within a range of horsepower offerings. The well-traveled Caterpillar 3208 began as a 210-horsepower engine and eventually reached a 435-horsepower model. The lower the load factor, the longer the life of the engine. 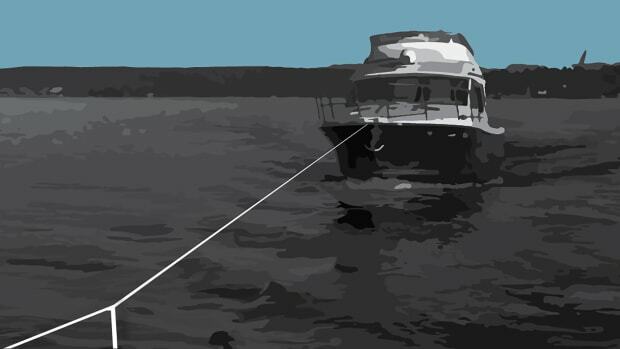 For cruising boats, the load factor should be less than 35%. All other factors equal, the lower the horsepower for a given model, the longer the life expectancy. Now, you might be saying to yourself, “If higher load factors over extended periods of time reduce engine life, then if I put in a bigger engine and run it very slowly, it should last a long time.” Unfortunately, however, that scenario creates a new set of problems. Chronically running at light loads can lead to a build up of carbon deposits in the cylinders and exhaust components. Over time this can lead to premature engine failure. This engine required a rebuild after only 700 hours. 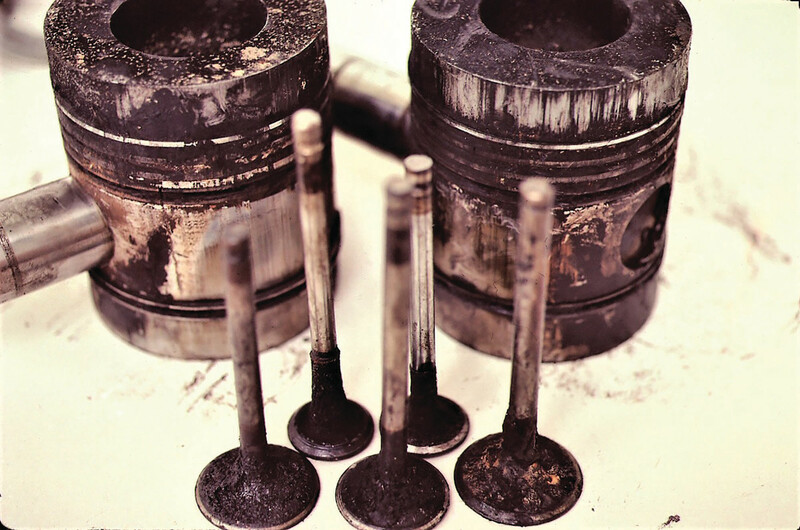 Chronically underloading an engine creates a different set of problems, especially on pre–common rail engines: carbon buildup in the exhaust system and in the engine. Terms that describe this, such as “exhaust slobber” and “wet stacking,” sound appropriately unappealing. Engines rely upon high temperatures to thoroughly combust the fuel in the cylinders. 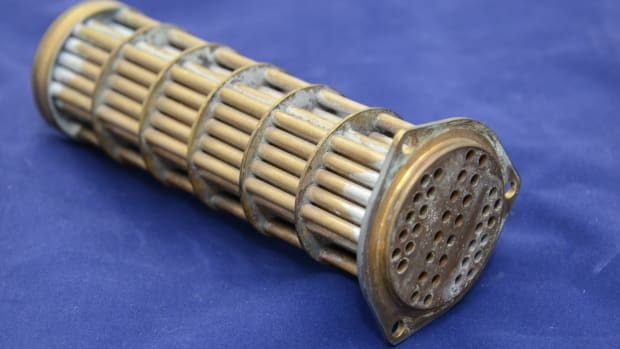 At light loads cylinder temperatures may not reach the threshold needed to burn off all of the fuel dispersed by the injectors and lube oil residues on the cylinder walls. The unburned fuel and oil create carbon, which can build up in the cylinders, on the valves, inside the exhaust manifolds, and in turbochargers. In the cylinders, carbon buildup reduces the effectiveness of the rings and can lead to cylinder and piston damage. 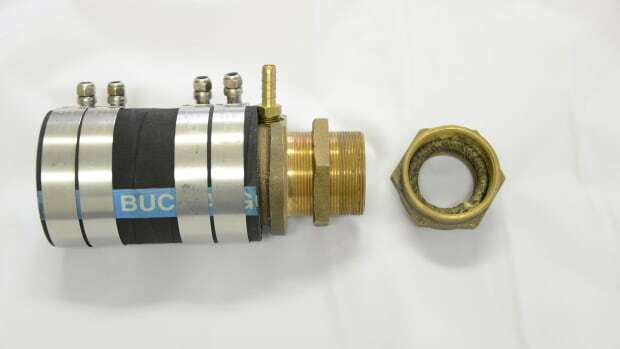 Valves with carbon buildup become less efficient. In the exhaust manifold, the buildup can restrict air flow, and on the turbo carbon buildup can cause a loss of boost pressure or create an imbalance that causes a failure of the turbo vanes. In short, running chronically at light loads can create a host of problems that lead to premature engine failure. 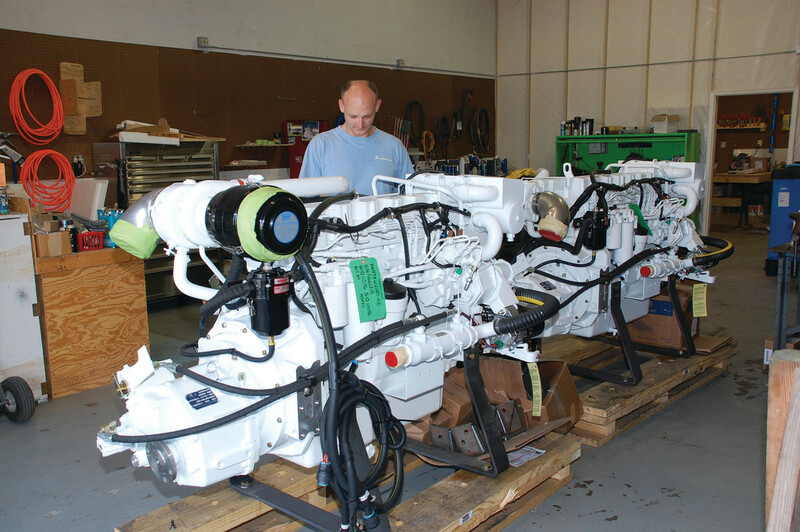 Well maintained, properly sized for the application, and operated within the optimal minimum and maximum loads, this engine has a good shot at running for 10,000 hours—and possibly much more. Newer common rail engines are better able to compensate for underloading than older engines, which inject fuel when the injection pump creates enough pressure to “pop” the injector without any accommodation for other parameters. The injectors on modern common rail engines disperse the fuel in three or more doses for each injection, and the engine’s computer adjusts for the fact that loads are light and temperatures are low. These newer engines are therefore better able to adjust for the underloading condition, but they are not immune to the problems it can cause. It should be noted that chronically underloading does not mean you will necessarily encounter these problems, just that the risk is greater. If you have been running this way for years, it would be wise to have a mechanic inspect the turbo and exhaust components and pull an oil sample. You might find that your configuration is working fine. In any case, if you do run most of the time at light loads, the following protocol will promote engine health: For every 8 hours run at light loads, run at about 75% to 80% load (or about 10% below maximum rpm) for one hour. In addition, periodically running at wide open throttle (WOT) brings additional benefits. One more point about engine horsepower. 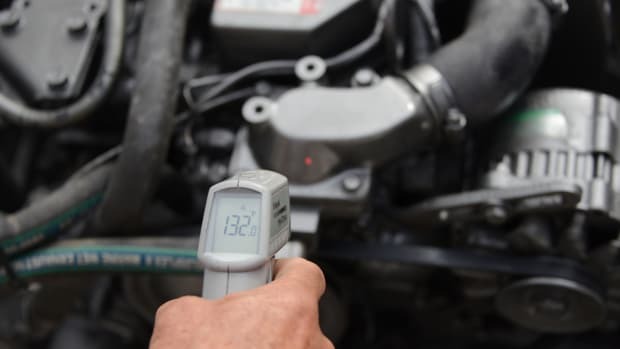 Most engine warranties stipulate that your engine must reach the rated WOT rpm. An undersized engine or oversized propeller can void your warranty. The warranty issue should be reason enough, but even if you are out of warranty your engine will last longer if you meet this criteria. Achieving WOT confirms that the propeller has been properly sized for the engine, properly matching load to rpm throughout the range. 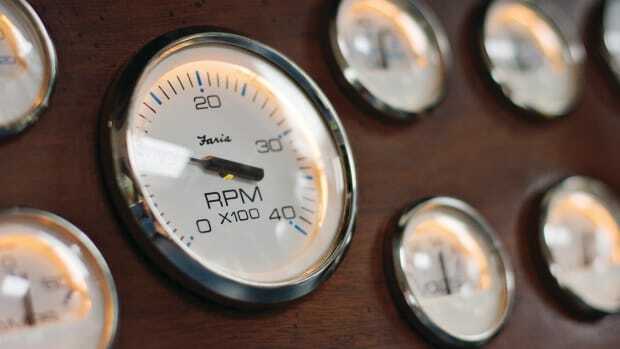 Engine life can be extended by sizing your engine and propeller so that you can reach the rated WOT rpm. Chronically running your engine at light loads may reduce engine life. If you do run at low rpm most of the time, check for carbon buildup and periodically run higher loads to burn off carbon deposits. Eventually time and wear catch up and the situation will call for a rebuild, a remanufactured engine, or, in this case, a new engine. Most boat owners keep up with oil and filter changes. And while neglecting most of the other engine maintenance tasks may lead to a breakdown, it will not necessarily reduce engine life. 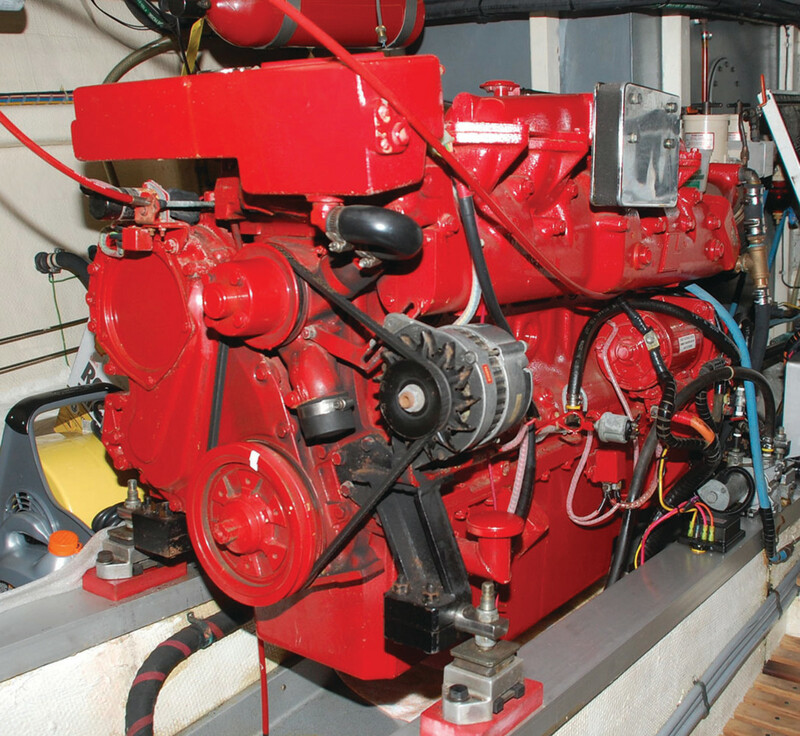 Based on what we see in our boatyards, the most common area of neglect that impacts engine longevity involves the engine cooling system. Unlike neglect in other areas, failures in the cooling loop can lead to sudden failures and major damage. Introducing seawater into the metal components invites a host of problems, mostly hidden until too late. Keep in mind that recommended service intervals do not depend on run hours alone–passage of time counts, too. 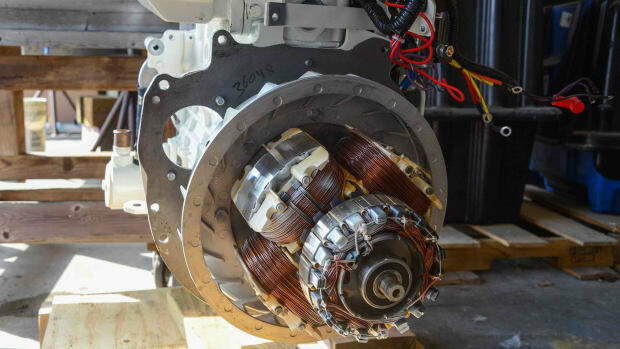 Seawater resides inside the various coolers, whether you are running the engine or not. The maintenance schedule in your owner’s manual will usually state the requirements this way: “Every 1,000 hours or every two years.” You might only have 800 hours on the engine, but if it has been more than two years since you had the aftercooler removed, cleaned, and inspected, you are dancing on the edge. If the aftercooler fails it can lead to major engine damage. Print out the maintenance intervals for your engine, review them carefully, and follow them closely. One more factor impacts engine life–frequency of use. Although lack of use minimizes hours, sitting for months at a time without running has harmful effects. Changes in temperature create condensation and moisture accumulates in the cylinders, in the turbochargers, and in other components. Block heaters will help reduce moisture during cold months. So How Long Will It Last??? One piece of information critical to determining engine longevity is often missing, and it concerns the manufacturer’s design intention. An engine might be rated for 30,000 gallons of fuel burn before a rebuild. Or the manufacturer might have a target of 10,000 hours within the rating guidelines. 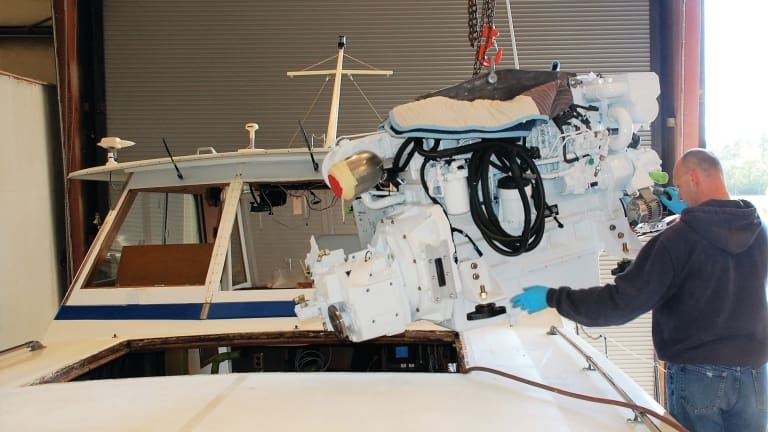 Numbers get tossed around anecdotally: “The fishing guys I know get 20,000 hours on those engines.” Perhaps, but without knowing if it was a commercially rated engine or a recreational one or how it was used and maintained, those numbers are meaningless. If you know the projected life of a given model, you can adjust your prediction based on the conclusions listed above. For most engines in the range of 200 to 600 horsepower with load factors under 30%, engine life of 10,000 hours would not be unusual and 20,000 hours would be possible. Unfortunately, due to operational conditions (running too hard or too light too often) and due to maintenance neglect, for many of these engines 6,000 hours would be a good run before needing a rebuild.